Hot dawg! 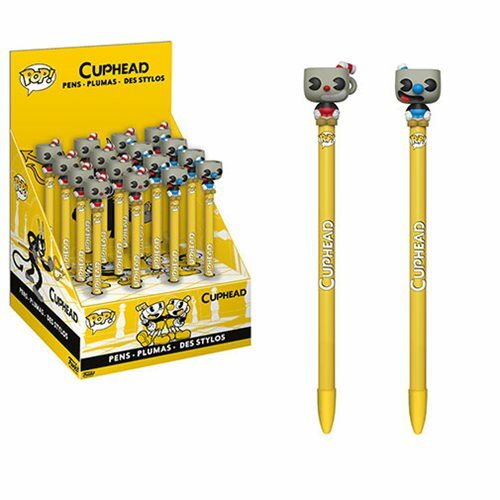 Cuphead and his brother Mugman are taking a break from collecting soul contracts for the Devil to bring some old-school style to your writing implements. They'll prove exceptionally helpful as pen toppers in the event that you find yourself fighting bosses, slaying homework, or need a guide through the Inkwell Isles. This Cuphead Pop! Pen Display Case includes 16x pens.